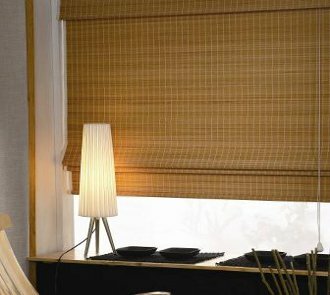 Classic styling of Roman Shades with an exotic touch of Bamboo. Bamboo Woven Woods are created from natural products such as reeds, bamboo, grasses and wood, that will age beautifully over time. It is possible that some patterns may grow slightly lighter or darker in color, depending on the fabric patterns. Variations in paint and stain, minor cracks, slight pattern irregularities and knots are all enhancements that add to the natural beauty and character of your shade. 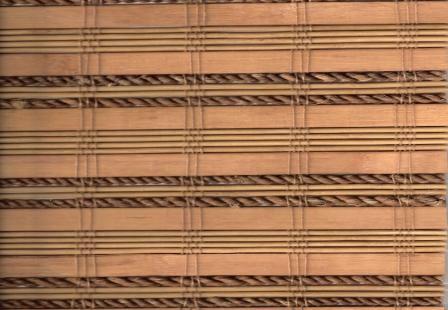 The 2" Edge Banding is folded around the edges (down the sides and across the bottom) of the your blind. Approximately 1" of the banding will be covering the front edge of the blind and approximately 1" of the banding will be covering the back edges of the blind. 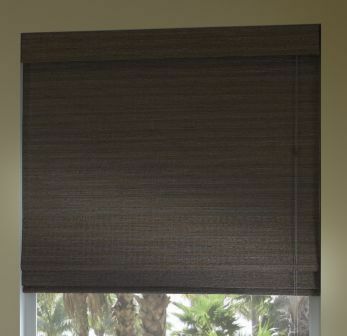 The 4" Edge Banding is folded around the edges (down the sides and across the bottom) of the your blind. Approximately 2" of the banding will be covering the front edge of the blind and approximately 2" of the banding will be covering the back edges of the blind. All liners are white to the outside. This is the color you will see when you are looking at your windows from the outside of your home. The color you choose from this selection is the color that will face the back of your blind. For instance you may want to choose black for the Bamboo Mahogany. 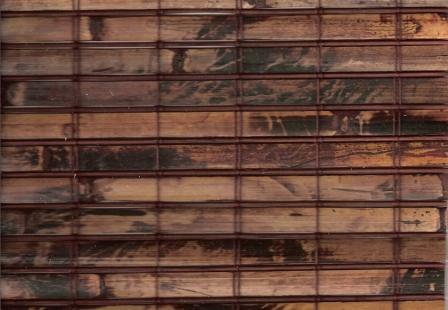 This will ensure that a lighter color of liner will be seen through the woven wood material. Clutch Roller option: Looks just like the Classic Roman, but it has a continuos cord clutch mechanism for one easy control that locks automatically at the desired height. 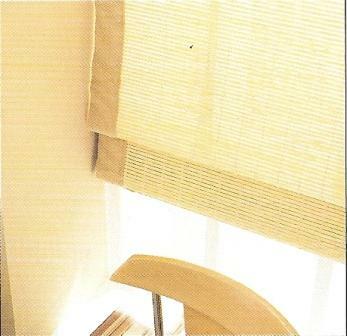 Two on One Headrail: Perfect for large windows, this style allows you to have two shades in the same headrail for independent control and practicality. Top-Down/Bottom-Up: Versatile, this style is perfect for those places where privacy is needed while still preserving a clear view to the outside and allowing natural light into the room. 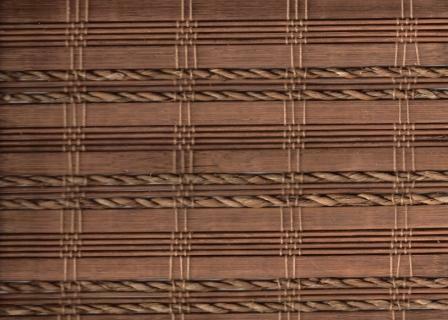 Light-Filtering Liner and Room-Darkening Liner- The materials to make Woven Woods have unique variations in both color and texture. 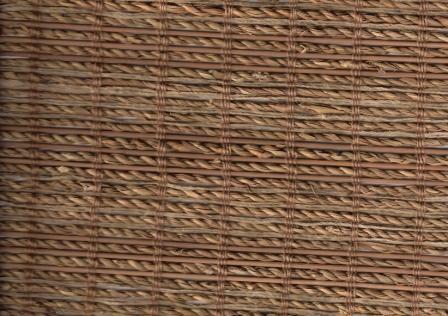 The size and shape of the slats, reeds and grasses will affect spacing from shade to shade. This variation is normal and does not represent a defect in the material. Woven Woods alone will provide daylight privacy: however, for added night privacy a liner upgrade is recommended. If a liner is chosen, you must specify your liner option on your order. Light Filtering Liners will allow light to filter into the room while offering additional privacy. Available in White or Ivory, the liner may be seen slightly through the fabric. Room Darkening liners will allow optimum privacy and will block the light from entering the room. Choose from white, ivory, black or beige. Black or beige liner options are great color coordinating liner options to make the liner almost non-visible through the fabric. **All liners are white to the outside. 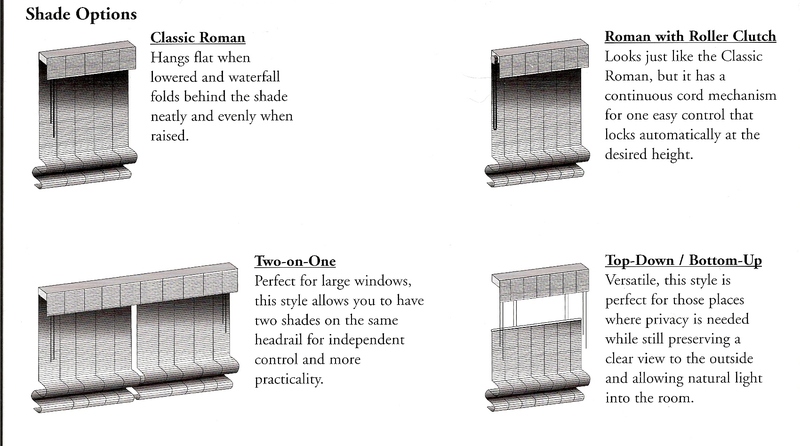 Banding: The banding options are fashionable and fun. 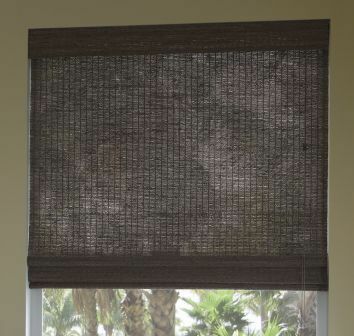 The fabric tapes will add a more tailored and complete look to your Woven Wood Shades. This finish option is equivalent to 1" of binding on the front of the fabric and 1" of binding on the back of the edges of the fabric. This will not only add to the your decor it will also help prevent the ends of the reeds, grasses and bamboo from fraying and chipping as well as help keep the overall product level vertically. Installation Guide and Measuring Guide. Inside Mount-When ordering inside mount, the factory will automatically make a deduction off of the ordered width of 1/2".� No deductions will be made off of length. Outside Mount-No deductions are taken off of width or length on outside mount product. Bottom "rail"- 3/4" Wood dowell. Minimum Inside Mounting depth of 1 1/2"
Minumum Inside Flush Mounting depth of 2 1/2"
Minimum Outside Mounting depth of 1" of flat vertical surface. Due to woven contruction of shade, materials may have shift during shipping.� Lighlty tap the edges of the shade with a flat tool like a ruler until even. While beautiful and pleasing to the eye, Woven woods are also designed to be durable and easily cared for.�� Occasional feather dusting or low suction vacumming is all with a brush attachment is all that is needed to keep the shade looking new. 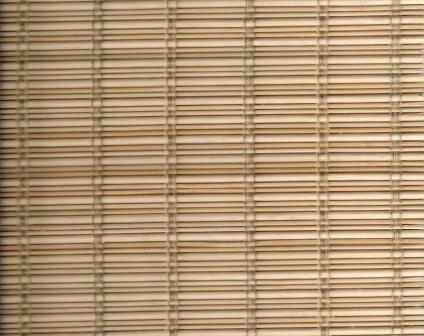 Woven Woods are created from natural products such as reeds, grasses, bamboo and wood that will age beautifully over time.� It is possible that some patterns may grow slightly lighter or darker in color, depending on fabric pattern. Variations in paint and stain, minor cracks, slight pattern irregularities and knots are all enhancements that add to the natural beauty and character of the product. 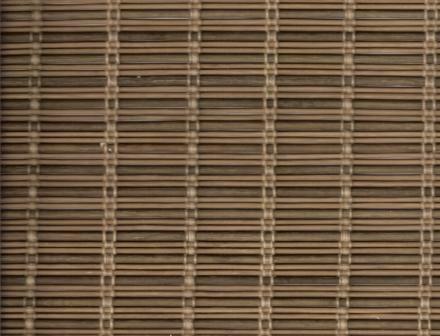 Size and shape of the slats, reeds and grasses will affect spacing from shade to shade.� This variation is normal and does not represent a defect in the material. 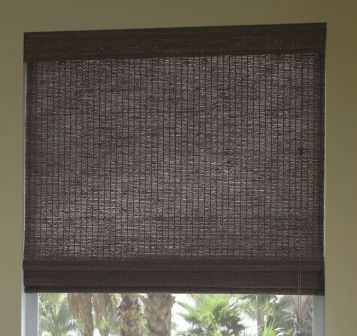 These stylish, affordable shades work by a proven yet simple pulley system which is both safe and allows the shade to be fixed at any level desired. Countless options are available to help truly customize your shades.